This is the second installment of a three piece series highlighting tips for Event Coordinators. While team recruitment is an ongoing effort throughout your walk season, once you have team captains registering, you should begin to consider how you will spark a little friendly competition to drive results. Incentives are a great catalyst. 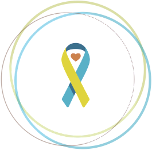 As a seasoned team captain in Columbus, Ohio (2016 will be Team Alex’s 13th year at the walk! ), I know firsthand how motivating it is to work for a particular incentive. Team incentives do not have to be items that cost your organization anything to provide; in fact, my favorite “prize” is a reserved tailgate spot at the event, which is earned when a team here raises at least $5,000. It is so nice knowing I will not have to worry about reserving a spot for my team’s celebration at the walk! Other examples we’ve seen of low cost team incentives are VIP parking spots, the privilege of choosing the t-shirt design for the following year, or Grand Marshall status to the buddy whose team raises the most money for their event. Some walks also recruit volunteers to be “Buddy Butlers” on the day of the event, who provide VIP service to top fundraising teams. While these low cost incentives are wonderful, it’s not to say that other incentives are not welcomed. Many organizations receive donations of gift cards or other items which can become prizes used throughout the walk season. For example, a gift card could be offered up to the team who raises the most money in a particular time period. Some organizations receive donated ad space, which has been used to feature a top-fundraising buddy to promote their event. All of these ideas can be employed to draw in new and veteran team captains, alike; no one will want to miss out on all the fun! Like we shared in our team recruitment blog, the key to success with incentives too is communication. With incentives, it’s important to set timelines. Will it be a short-term incentive (a week to two weeks)? Or will be it be a long-term incentive (the duration of the walk season)? Once the timeline is set, it is crucial to continually remind your team captains of how much time remains for the incentive and perhaps, who is in the lead, to help spark that ever important friendly competition. We recommend using your marketing channels (social media, email, etc.) to communicate your incentives and continue to build the hype for your walk event and fundraising. 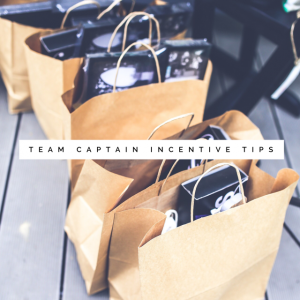 At the end of the day, incentives help put the FUN in fundraising for your team captains. Choosing incentives that best fit your walk culture will help you maximize your fundraising efforts. Event Coordinators – we’d love to hear from you! What are your best tips for incentivizing Team Captains? Share them with at stories@ds-connex.org.